Will Iran's Zarif remain in office over Parliament plea? A majority of Iranian MPs have signed a letter asking for Foreign Minister Mohammad Javad Zarif to continue. He resigned unexpectedly via Instagram last night. Zarif played a leading role in the landmark nuclear agreement under which Iran agreed to curbs on its nuclear programme in return for the lifting of sanctions. He came under attack from anti-Western hardliners in his country after the US pulled out of the agreement last May. 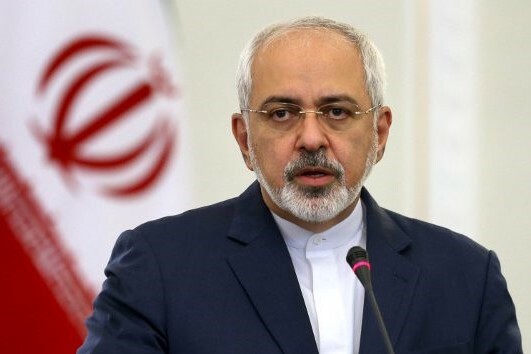 Mr Zarif's resignation was confirmed by Iran's official news agency, Irna. He served as Iran's ambassador to the United Nations before becoming Foreign Minister in 2013. Mr Zarif was educated in the US and holds a PhD in international law from the University of Denver. "There have been previous occasions where he has been happy with his position in the Iranian political system. He has been criticised for his involvement in the Iranian Nuclear Deal which of course the Americans pulled out of and he has been blamed rather personally." "Yesterday, the Syrian President Bashar Assad visited Tehran but he did not meet the Foreign Minister Mr Zarif, only the Prime Minister Hassan Rouhani. This may have been the immediate reason why he resigned, that he was cut out of this meeting."